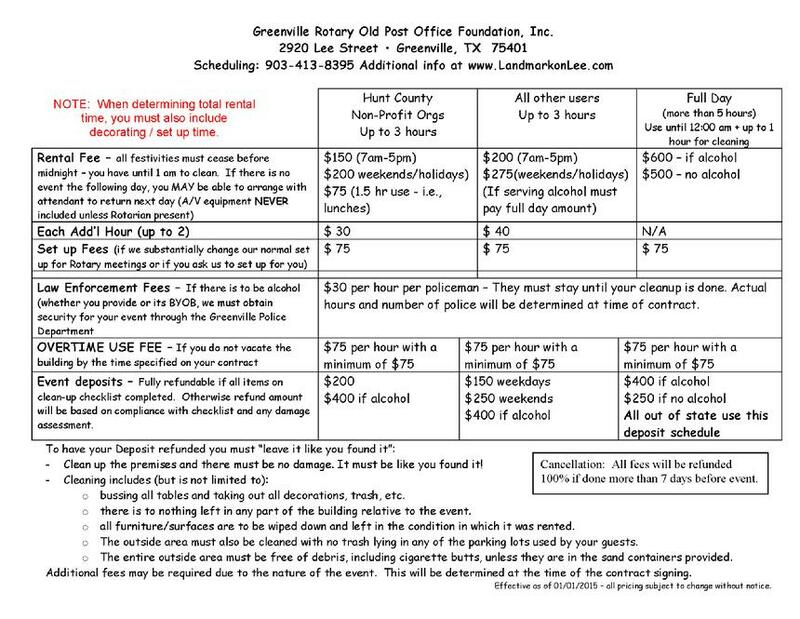 Following is information on fees for renting the banquet hall. For information on what is included in your rental, click here. Please note that alcohol is not allowed in the building for any party given for anyone or any group under the age of 21. If there is alcohol, all of the deposit will be forfeited.